In their natural habitat – Cats, Rabbits and Foxes function as part of the normal ecosystem with natural population control measures in place. In an Australian bush environment, these animals are a nuisance pest. All three species wreak havoc throughout urban and rural bushland consuming native flora and fauna at an unsustainable rate. Feral animals do not have any natural predators. For many years the City of Busselton has witnessed the negative impact all three species has had on Meelup Regional Park and has been running feral animal control programs for the past 20+ years. In most recent years, Natural Area has been employed to control both foxes and rabbits with the use of 1080 poison. 1080 is created from the plant group ‘poison peas’ – Gastrolobium, which occurs naturally in Australian bushland. Our native fauna have evolved with these plants and have developed a tolerance to the poison. 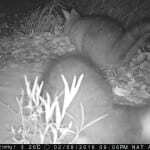 As part of Natural Area’s contract with the City we have been undertaking a monitoring program to coincide with the baiting and our monitoring has shown that the feral animal population is on the decline while native population is on the incline. 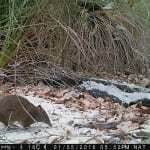 With the use of sand plots and trail cameras scattered throughout the park, Natural Area has been recording less presence of feral animals and a larger presence of native animals including the endangered Ringtail Possum. Life is looking really good for the native fauna in Meelup Regional Park with continual control planned to keep feral populations in check and prevent new colonies from moving in.